Found one file extension association related to QTS and 1 file format developed specifically for use with QTS. Developer / company: QNAP Systems, Inc. Built on a Linux foundation, QTS Turbo NAS operating system is shaped from the optimized kernel to deliver high-performance services satisfying your needs in file storage, management, backup, multimedia applications, and surveillance, and more. 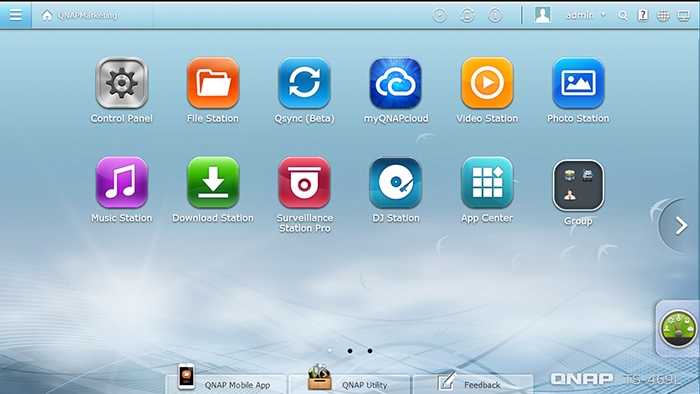 The intuitive, multi-window and multi-tasking QTS GUI make it incredibly easy to manage your Turbo NAS, utilize its rich home applications, enjoy multimedia collections with more fun, and install a rich set of applications in the App Center on demand to expand your Turbo NAS experience. Moreover, the QTS adds value to business applications with its abundant features, including file sharing, iSCSI and virtualization, backup, privilege settings, and so on, effectively increasing business efficiency. Coupled with various utilities and smart mobile apps, QTS is the ultimate platform for building a personal or private cloud, synchronizing data and sharing files. If you need more information please contact the developers of QTS (QNAP Systems, Inc.), or check out their product website.